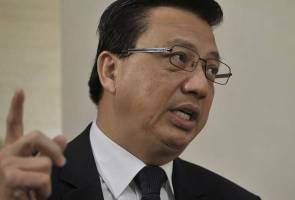 KUALA LUMPUR: Transport Minister Datuk Seri Liow Tiong Lai has urged all quarters not to make any speculation concerning the discovery of a wreckage on Reunion island near Madagascar on Thursday. Tiong Lai said they are still awaiting confirmation from Malaysia's aviation expert team headed by the director of the Department of Civil Aviation (DCA) in Paris. They also received full support and cooperation from France's air crash investigation agency (BEA) to identify if the wreckage is of MH370. “We are still awaiting confirmation if the wreckage is of Boeing 777 or MH370. That is yet to be determined. “Although from this picture, it looks like part of a Boeing 777, this is only seen by the naked eyes. This matter can only be confirmed after thorough investigation,” said Tiong Lai to reporters at the Kuala Lumpur International Airport (KLIA) in Sepang today. He added if the wreckage is of MH370, it confirms the theoretical prediction of the currents movement in the Indian Ocean. “If the flaperon is of MH370, it is in line with the current movement in the Indian Ocean. As we can see, the ocean current movement will show pattern of flows. But we do not want to speculate and wait confirmation from the French authorities,” said Tiong Lai. On Friday, AFP reported that Deputy Transport Minister, Datuk Ab Aziz Kaprawi had confirmed that the object found on Reunion Island was of Boeing 777.